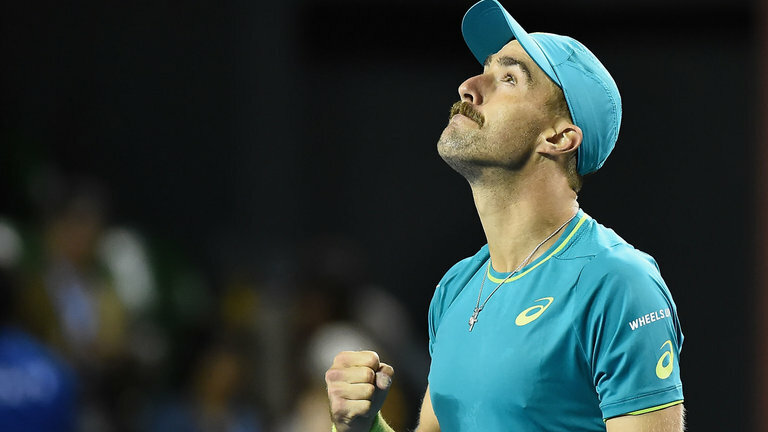 The American Steve Johnson revalidated on Sunday the title of champion of the Tournament of Houston, Masters 250 of the ATP when winning in the final by 7-6 (2), 2-6 and 6-4 to his compatriot Tennys Sandgren. Johnson, 28, 51 in the world, took a cash prize of $ 99,375 and 250 points for the ATP classification, while Sandgren, who played his first professional final, won $ 52,340 and 150 points. The champion became the first American to repeat the title in Houston since Andy Roddick did it in 2001 and 2002, after also being the first player to repeat the final since his compatriot Jack Sock won it in 2015 and 2016. In addition, he became the first local tennis player to eliminate four compatriots to the final since the Peruvian Jaime Yzaga did it when the tournament, played on a clay surface, was played at the Charlotte headquarters in 1991. The game that lasted two hours and 22 minutes, was decided thanks to the many decisions that Johnson got with his serve when he won the first heat in the “tie-break” to which they arrived without having lost their serve. Despite having lost the set, Sandgren, who faced Johnson for the first time, played his best tennis in the second and broke the serve to the champion in the sixth game and in the eighth to win and force the third and decisive. Again both players, with safe service, and hits from the back of the court kept the score 4-4 until in the ninth game Johnson made the “break” that was all he needed to then ensure with his serve the victory and revalidate the title. Johnson, who won the ninth straight game at the clay court at River Oaks Country Club, played the fourth final in an ATP tournament and got his third professional title. Despite the defeat, Sandgren, 26, 56 in the world, will join the 50 best in the ATP classification. The furthest thing that had come before was the quarterfinals he reached this year at the Australian Open. Sandgren, who was the executioner of the Argentines Nicolás Kicker and Guido Pella, became the sixth player in the tournament to play his first professional final in Houston. The Houston Tournament, unique on a clay surface, distributed prizes worth 557,050 dollars and 250 points for the world ranking of the ATP.